Could woodworm reduce the value of your home? 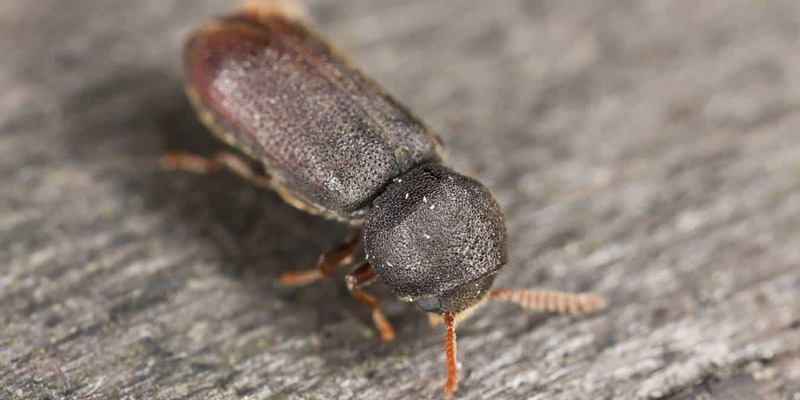 Woodworm is the term used to refer to the larvae of wood boring beetles that cause damage to timber that can seriously compromise its structural integrity. Here we cover; how to spot the signs of a woodworm infestation, how to treat woodworm, how to use woodworm to your advantage if it is found in a pre-purchase building survey, and what to do if you suspect that you have a woodworm problem in your home. Do I have woodworm in my house? 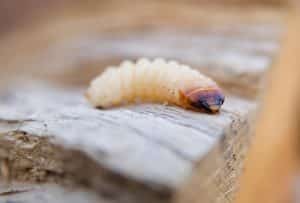 The presence of woodworm rarely has major implications, unless your entire roofing frame, stair case or window frame is heavily contaminated, but if you suspect wood worm in your home, you shouldn’t ignore it. 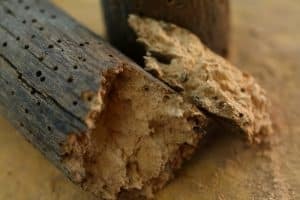 Woodworm beetles like cooler, drafty spaces away from central heating as this makes timber damp and easier to chew though! These kind of woodworm friendly environments can often be found in lofts and under the stairs, and they’re not fussy on the types of wood they munch though, with hardwood and softwood being equally as appealing. A Chartered Building Surveyor can confirm the presence of woodworm and recommend local treatment providers, or options for replacing the impacted area of wood if the level of the infestation is so great that the timber is weakened and no longer suitable for use. See below for common signs of woodworm in your home. Found woodworm in a pre-purchase building survey? | Good to know: If your pre purchase building survey picks up wood worm, you can use it to lever your position with the seller. Try asking for it to be treated prior to the sale or depending on the level of infestation, asking for a reduction in sale price to allow you to cover the cost of treating the problem yourself post sale. | Good to know: Woodworm is not infectious. 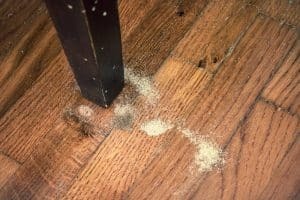 If doesn’t spread from one piece of timber to another, so even if you have found signs of woodworm, it may only be a small area of your home or localised piece of furniture that has been affected. What to do if you have signs of woodworm in your home? If our surveyors identify signs of woodworm when conducting a building survey, condition report or ad hock inspection at your home, or you have instructed them to report on a woodworm concern you had, they will confirm its presence and advise you of the level of impact the infestation has had. They will be able to check the area for associated problems such as wood rot and damp to establish if any of the timbers need replacing. If woodworm is found, it is advisable to instruct a professional pest controller to treat the affected area but DIY methods are available from any supermarket or DIY store. 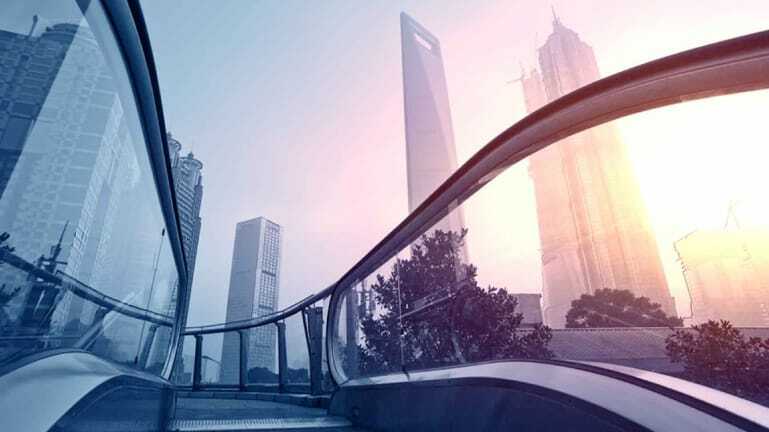 Correct application and an understanding of the pests will have the best results in removing the problem so we would always advise consulting a professional. A specialist will be able to identify if the infestation is active or not, which due to the unusual lifecycle of woodworm, can be hard for an untrained eye to know. For more information on this, Rentokil have a short informative video on the lifecycle of woodworm. Kempton Carr Croft’s building surveying team can inspect your home to confirm the presence of woodworm at your property, or to conduct building surveys and condition reports that would also highlight areas of woodworm. Contact us to discuss your individual needs.